The field of Home Area Networks (HAN), a dedicated residential subset of LAN technologies for home-based use, is fast becoming the next frontier for the communications industry. 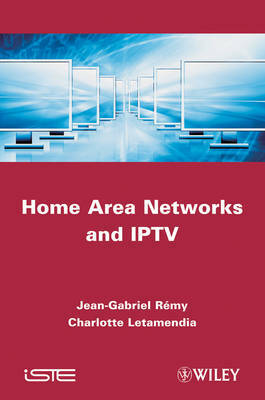 This book describes the various technologies involved in the implementation of a HAN: high-speed Internet connections, indoor implementations, services, software, and management packages. It also reviews multimedia applications (which are increasingly the most important and complex aspects of most HANs) with a detailed description of IPTV technology. It highlights the main technologies used for HANs: information transmission by means of copper pairs, coaxial cables, fiber optics, and Wi-Fi radio systems, as well as the software systems necessary for the processing and management of these data communications. These technologies examples of which include the well-known 802.11 family of standards, and less widespread applications such as the HomePlug powerline standard are highly relevant to multimedia, remote healthcare, remote working, energy, and device management in the home. The book is written for engineers working in the field, or who are interested in high-speed communication technologies and their actual or potential use in the home or in the small medium size enterprise (SME) commercial environment.